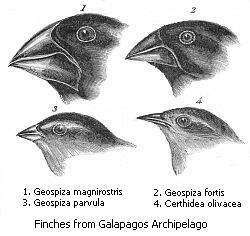 Darwin's finches or Galapagos finches. Genetic variation means that biological systems – individuals and populations – are different over space. Each gene pool includes various alleles of genes. The variation occurs both within and among populations, supported by individual carriers of the variant genes. Genetic variation is brought about, fundamentally, by random mutation, which is a permanent change in the chemical structure of chromosomes. Genetic recombination also produces changes within alleles. Genetic variation among individuals within a population can be identified at a variety of levels. 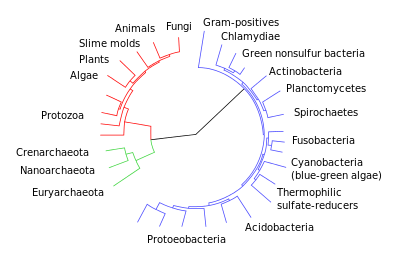 It is possible to identify genetic variation from observations of phenotypic variation in either quantitative traits (traits that vary continuously and are coded for by many genes (e.g., leg length in dogs)) or discrete traits (traits that fall into discrete categories and are coded for by one or a few genes (e.g., white, pink, red petal color in certain flowers)). Genetic variation can also be identified by examining variation at the level of enzymes using the process of protein electrophoresis. Polymorphic genes have more than one allele at each locus. Half of the genes that code for enzymes in insects and plants may be polymorphic, whereas polymorphisms are less common in vertebrates. Ultimately, genetic variation is caused by variation in the order of bases in the nucleotides in genes. New technology now allows scientists to directly sequence DNA which has identified even more genetic variation than was previously detected by protein electrophoresis. Examination of DNA has shown genetic variation in both coding regions and in the non-coding intron region of genes. Genetic variation will result in phenotypic variation if variation in the order of nucleotides in the DNA sequence results in a difference in the order of amino acids in proteins coded by that DNA sequence, and if the resultant differences in amino acid sequence influence the shape, and thus the function of the enzyme. Geographic variation in genes often occurs among populations living in different locations. Geographic variation may be due to differences in selective pressures or to genetic drift. Genetic variation within a population is commonly measured as the percentage of gene loci that are polymorphic or the percentage of gene loci in individuals that are heterozygous. Random mutations are the ultimate source of genetic variation. Mutations are likely to be rare and most mutations are neutral or deleterious, but in some instances the new alleles can be favored by natural selection. Polyploidy is an example of chromosomal mutation. Polyploidy is a condition wherein organisms have three or more sets of genetic variation (3n or more). The mutation is started off by a parent, as the parent mates the offspring now have a chance to receive that mutation trait also. When that mutated offspring are ready to mate they now have the chance of passing on that trait to their offspring. Crossing over and random segregation during meiosis can result in the production of new alleles or new combinations of alleles. Furthermore, random fertilization also contributes to variation. Variation and recombination can be facilitated by transposable genetic elements, endogenous retroviruses, LINEs, SINEs, etc. For a given genome of a multicellular organism, genetic variation may be acquired in somatic cells or inherited through the germline. A variety of factors maintain genetic variation in populations. Potentially harmful recessive alleles can be hidden from selection in the heterozygous individuals in populations of diploid organisms (recessive alleles are only expressed in the less common homozygous individuals). Natural selection can also maintain genetic variation in balanced polymorphisms. Balanced polymorphisms may occur when heterozygotes are favored or when selection is frequency dependent. ↑ Darwin, 1845. Journal of researches into the natural history and geology of the countries visited during the voyage of H.M.S. Beagle round the world, under the Command of Capt. Fitz Roy, R.N. 2d edition. 1 2 Lars Feuk, Andrew R. Carson & Stephen W. Scherer (February 2006). "Structural variation in the human genome". Nature Reviews Genetics. 7 (2): 85–97. doi:10.1038/nrg1767. PMID 16418744. 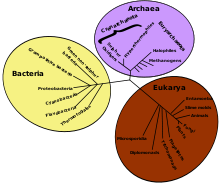 Mayr E. (1970): Populations, species, and evolution – An abridgment of Animal species and evolution. The Belknap Press of Harvard University Press, Cambridge, Massachusetts and London, England, ISBN 0-674-69013-3. Dobzhansky T. (1970): Genetics of the evolutionary process. Columbia, New York, ISBN 0-231-02837-7. Hedrick P. (2011): Genetics of populations. Jones & Bartlett Learning, ISBN 978-0-7637-5737-3. Rieger R. Michaelis A., Green M. M. (1976): Glossary of genetics and cytogenetics: Classical and molecular. Springer-Verlag, Heidelberg - New York, ISBN 3-540-07668-9; ISBN 0-387-07668-9. Griffiths, A. J. F. (1999). An Introduction to genetic analysis. W. H. Freeman, San Francisco, ISBN 0-7167-3520-2. Cavali-Sforza L. L., Bodmer W. F. (1999): The genetics of human populations. Dover Publications, Inc., Mineola, New York, ISBN 0-486-40693-8.